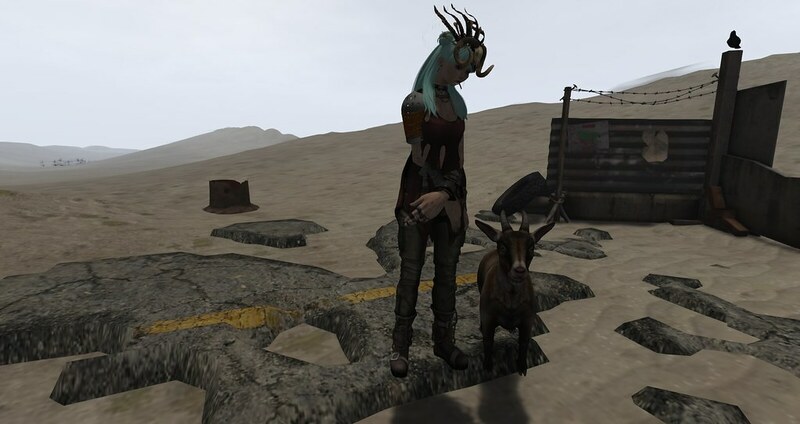 "Road Worrier": Leezu trousers, DRD top, Forge hat/headdress, JIAN goat. Reactions: NeoBokrug Elytis and Clara D.
Goddess of beauty, fertility. and reincarnation. Keeper of the circling "silver wheel" of stars, a symbol of time and karma. Reactions: Ryanna Enfield, Brenda Archer and Clara D.
avatar vanity pic taken at the VVO clubhouse. TRUTH Kaijah hair, Viola Dress from Hilly Haalan, Lumae T4 - Fawn skin, Alaskametro "Daytime" makeup, Hilly Haalan Lavinia heels, Cae Sylvie jewelry set, IKON Sovereign Eyes - Moor. 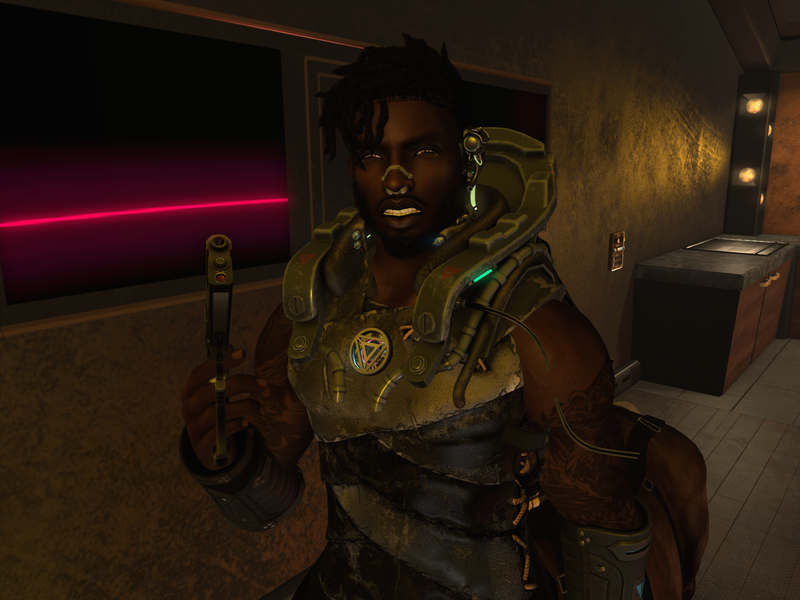 Jinx Centaur, Signature body, Catwa head, PFC armor with scifi bits added from Neurolabs, SOLE, POE, Breach gun, hair and beard from YUTH, skin from Nivaro if I recall right. Yo, I love pretty much everything from PFC. That's my go to for fantasy wear. Same, I own every piece they ever made for men that's updated to Signature body, and at least half their men's stuff that isn't updated. Their full outfits regularly inspire a new character for me and their unrigged accessories are great for customising fantasy outfits - too bad many of those are in Gachas. Avi(L) brought out some new skin HUDs that make the Avi(L) mesh body compatible with Enfer Sombre Head Appliers. but the breastplate at its base is the Perseus' from PFC. I have a bow from there that is fantastic looking, I think I've got some pauldrons too. Used the GA.EG Smart HUD to match the Vampy Skintone to the peach tone of the # HUD: Master AVI(L) Enfer Sombre 3 Brights - R4.3. I also used the HUD to give the lips a more natural colour.